As you can see from that link two of the cards are right next to each other – not ideal. This is exactly what happened to me when I decided to build a dedicated mining computer – or mining rig as they are known – One of my cards was getting too hot! Whilst constructing my mining rig I was trying to keep things as simple as possible to keep the costs down low, but also so I can use my computer normally if mining Vertcoins didn’t work out. To that end I didnt want to go down the water cooling route but instead got a case with massive amount of air-cooling. 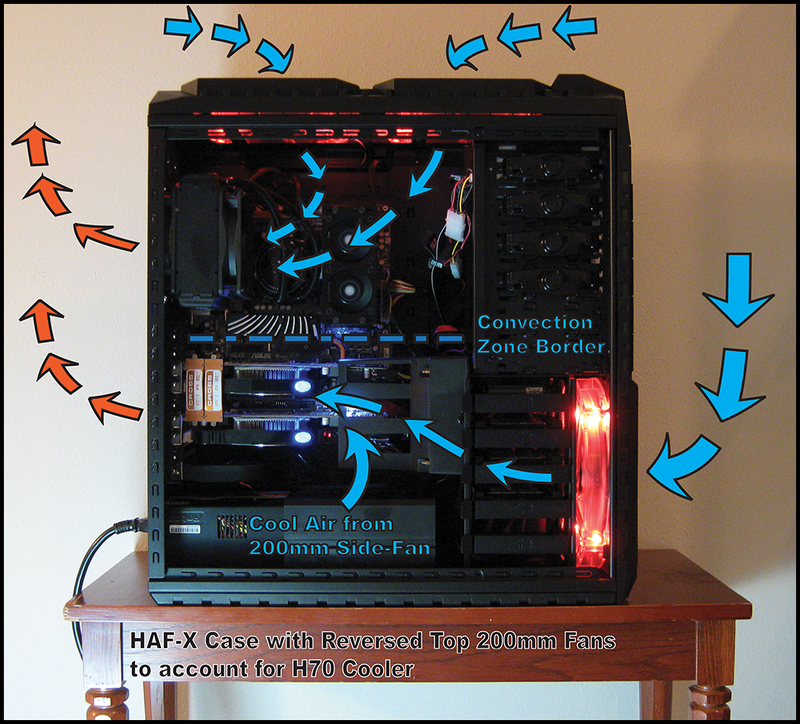 Enter the coolermaster HAF-X. This case is big, and even comes with wheels you can attach to the bottom. This also gives forth to other advantages such as the ability to raise one card up slightly higher in order to increase air flow. And that is exactly what I did. Please note that not all cases are as generous in size and may not allow you to rasie your card up and still has the side panel on, however if you don’t mind having the side panel off, it will work for pretty much any case. 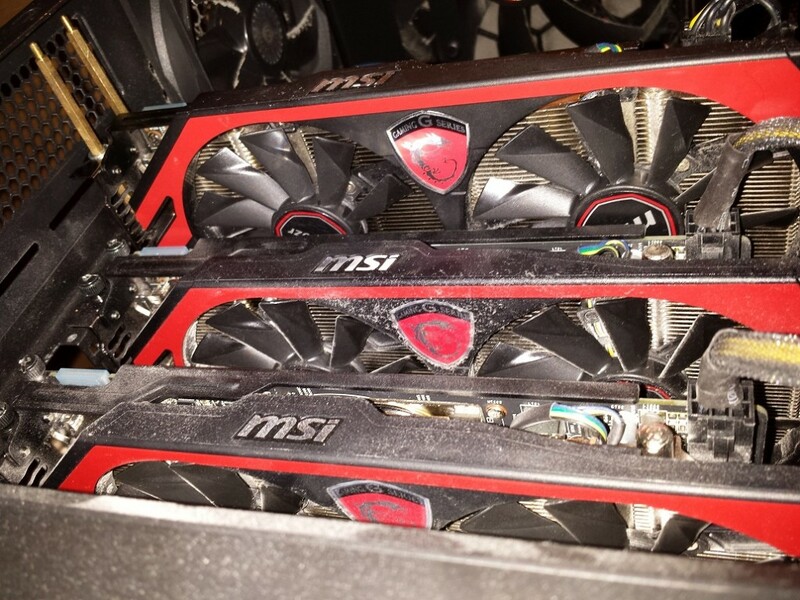 One graphics is overheating because it is next to another one. Raise one card up slightly higher in order to increase air flow. I have done all the measurements necessary to make sure this all works, however I urge you to check your own setup in case there is an anomaly. The first thing you need to know is that you are going to put one riser card into the other this will effectively raise up the graphics card by 38mm. This is important because one 35mm standoff is not high enough you need to add a nut to make it 38mm. The first thing to do is attach the two 35mm standoff to the case by placing them on top of the expansion slot(s) you wish to raise them up on and then put one of the nuts underneath it. 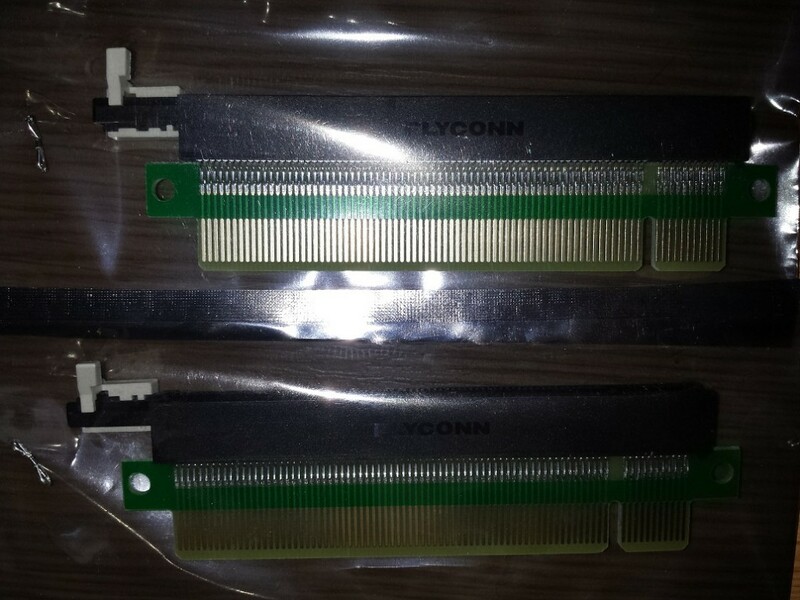 This is necessary to raise height of the expansion slot by 38mm. 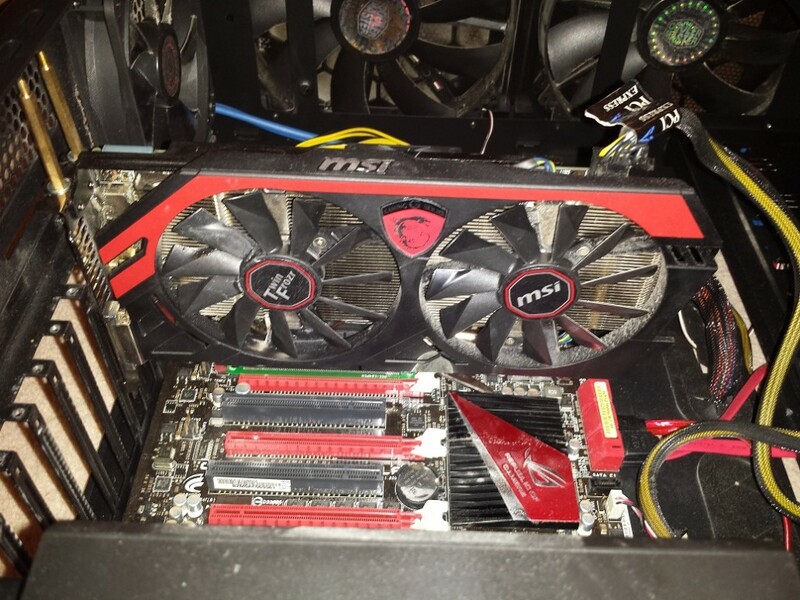 Next you put the graphics card into the two connected riser cards. 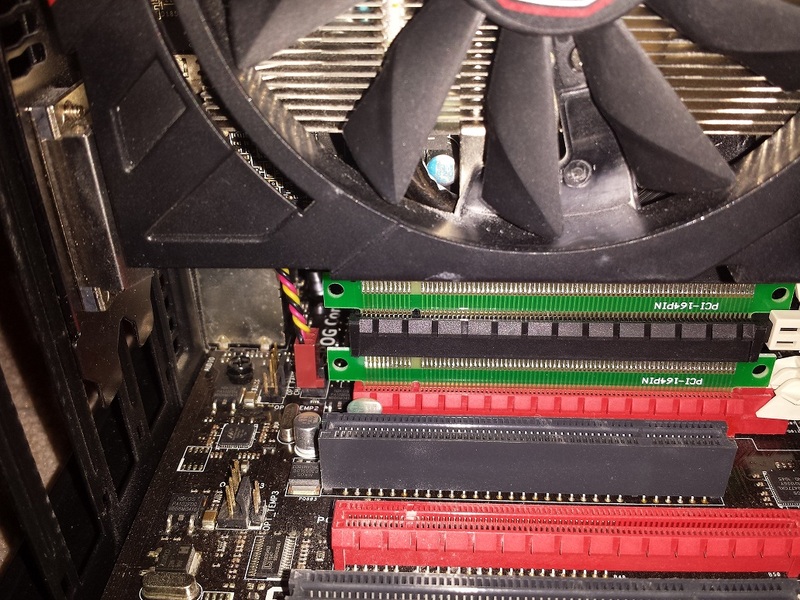 Next you can insert the graphics card and riser card combo into the PCI express slot where you want to raise the card up. 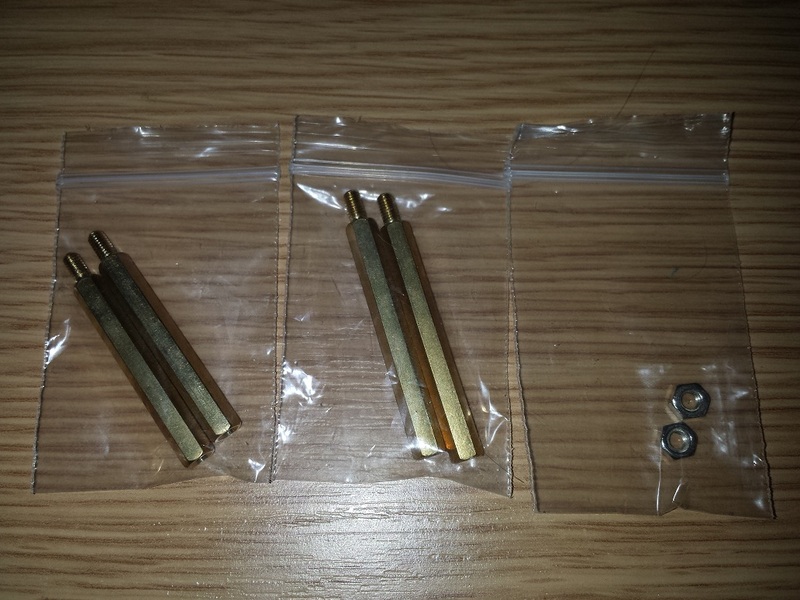 After that you will need to use the 4 washers; one for either side of the graphics card screw holes to hold it in place firmly. Then use the 40mm Standoffs to screw in over the top. As for me my card now runs consistently under 75 deg C. Happy Days! Recently I had a problem activating a recently installed version of Microsoft Office 2010. The error was “0x80070190”. This was fixed with a command line solution. 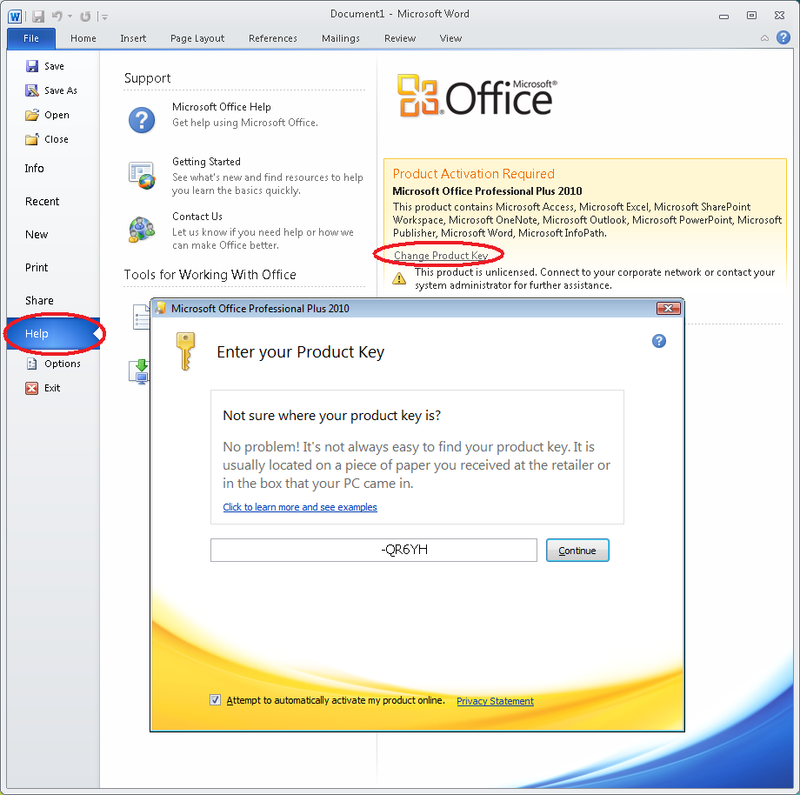 Microsoft Office 2010 activation error. Although the activation will fail the key information will be stored. 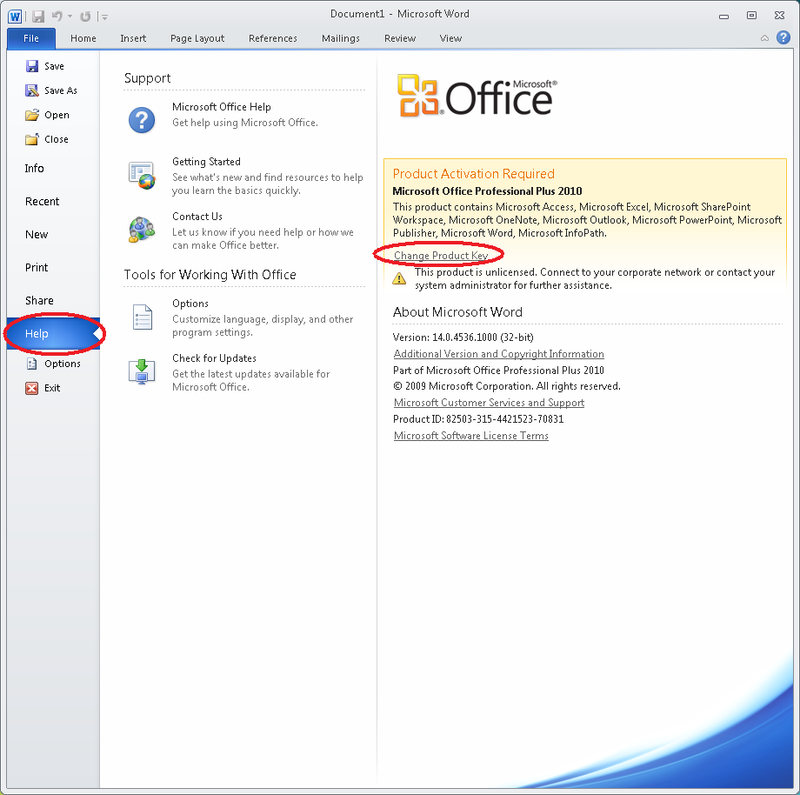 Activate Office 2010 by using OSPP.VBS. Congratulation Microsoft office is now activated. Feel free to comment below if you have any further ways to activate Microsoft office. *Please note: This error can be more prevalent on a Office installation that has been restored from an image. I have been away for while, moving house, moving job etc, but hopefully I will be updating this blog regularly again. 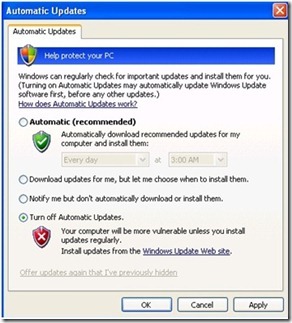 Windows will not update using Windows Update. Once installed you will need to install the next Service Pack. You should now be able to run your windows updates. Windows Update will still not work. If you find they are not running, just right click the service and select ‘start’. This should start the service. If this doesn’t work then you may have to rely on the ‘Automatic Updates’ section of Windows XP. To find out what is happening with windows updates you can look at the log file: %windir%\Windowsupdate.log for example c:\windows\Windowsupdatelog. Hopefully this helps someone, although I realise Microsoft is about to withdraw support for Windows XP on 8th April, 2014! I am still here! Firstly apologies if I havn’t replied to your messages in a timely fashion the site was getting a lot of spam, so I have removed it, so it is possible that genuine messages have been deleted, sorry about that. If you have any questions, please don’t hesitate to contact me and I will will reply as soon as I can. Following on from my post about how to replace a laptop hard disk, this post focuses on data recovery from a faulty hard disk. Firstly the reason the laptop hard drive failed on my flat-mates laptop was because it was overheating. This was a combination of dust inside the case, vista being a bit heavy and some undetected viruses on the machine. So to save yourself issues, if you notice you laptop/desktop getting hot or over heating, make sure that it is free from viruses and give the insides a clean! I cannot guarantee that using the method descibed below will recover lost data on a hard disk, as hard drives can break down in many different ways, however it did work for me, so it may do for you. Hard disk is faulty and cannot be read correctly. The disk I recovered data from wouldn’t get past a certain part in the boot-up sequence. I removed the disk from the machine found it to be a SATA drive. Interestingly if you have a 3.5 inch disk caddy for a SATA disk drive, you may be able to conect a 2.5 inch laptop disk to it (which is what I did). 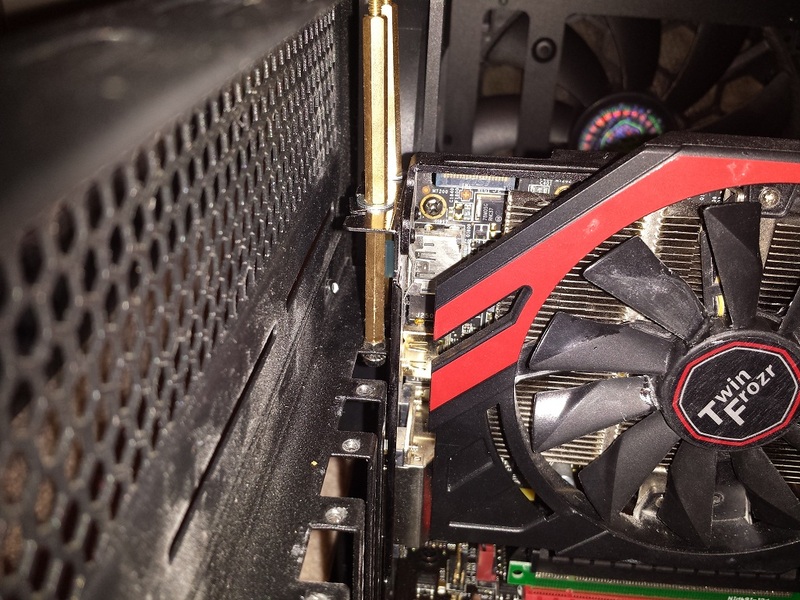 The SATA and power connectors are the same. After I removed the disk and put it in a caddy, windows reported that the disk couldn’t be read as it wasn’t formatted. 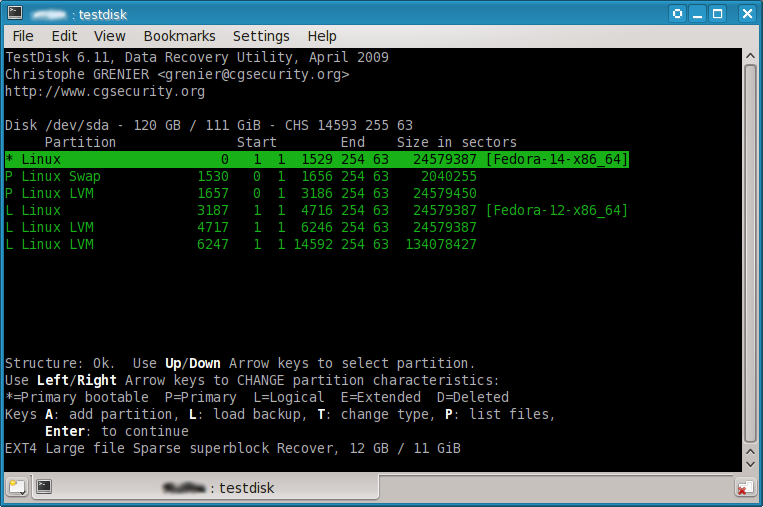 It is designed to recover lost partitions. As you can see it doesn’t use a GUI (graphical user interface) instead it uses text commands. Its not too difficult once you get the hang of navigating it using just a keyboard and there is quite a lot of user support if you get stuck on the authors website, including a walk-through guide. I tried it several times with different options without success. If it had been successful, I would have been able to read the disk as normal, so I had to try something else, plan B. Another text based user interface program! This software doesn’t worry about partitions it just looks at the data blocks and clusters on the disk. The upshot of this is that you can recover any data on a disk if the partition table is missing, as long as the drive is not physically damaged in such a way that makes the disk unreadable. This includes previously deleted files and files from a drive that has been re-formatted. 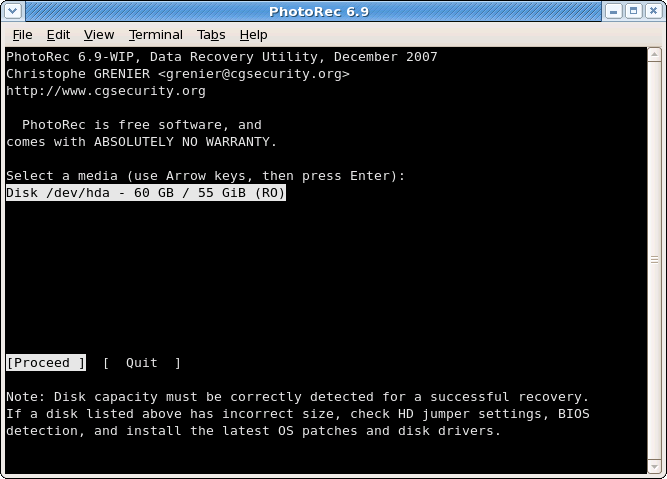 This is extremely useful, as instead of recovering all the data from the disk, you can just recover certain files such as picture/photo files including bmp and jpg files. Of course you can still recover the whole disk if you want to. This means you will have to go through the results find the photos you want and rename them with a more suitable name. But at least you get your files back! It was this second method that enabled me to recover my flat-mates files and make him a very happy chappy indeed. Just make sure you have an up to date anti-virus when you recover old data from someone else’s disk! 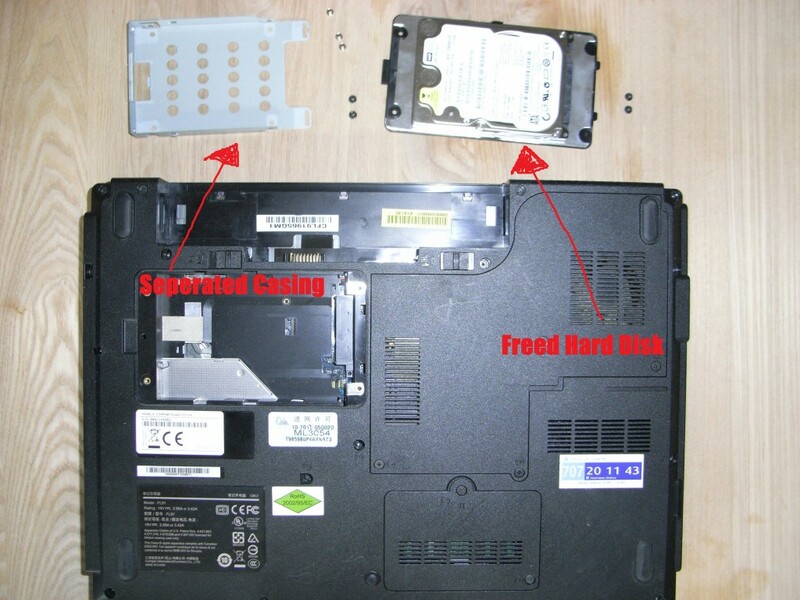 A while back my flat-mate’s laptop hard drive keeled over and died. It wouldn’t boot and wouldn’t read in a caddy, and as there was no back of the data, it was all lost too. Only one thing for it then, buy and install a brand new hard disk. In this tutorial, I will show you how to physically replace the hard disk, I won’t be showing you how to install windows now and there are many other blogs that cover that. Hopefully this will give you the confidence to go ahead and replace a disk is you need to. First of all you will need to switch off the laptop, and remove the power connection. Now turn the laptop over and remove the battery. 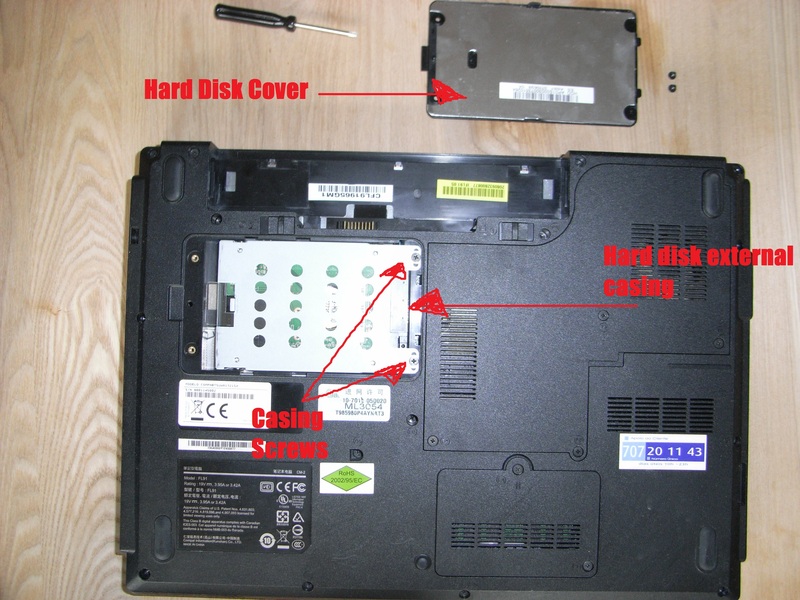 In this case the hard disk is housed in some casing, the screws keeping it attached to the laptop case need removing and then you can slide the hard disk out. 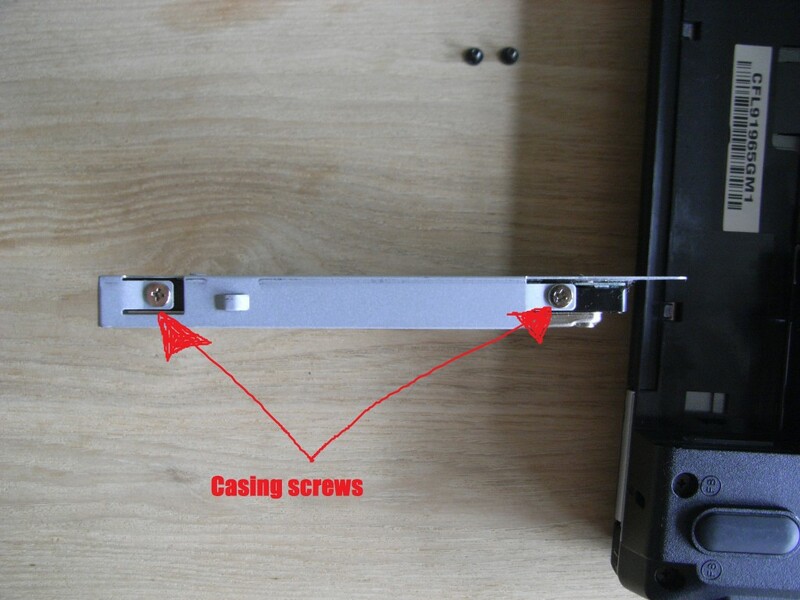 Next you need to remove the casing screws on the hard disk. Finally the hard disk has been removed from it’s casing. All that remains is to place the new hard disk back into the casing and reverse the whole process! 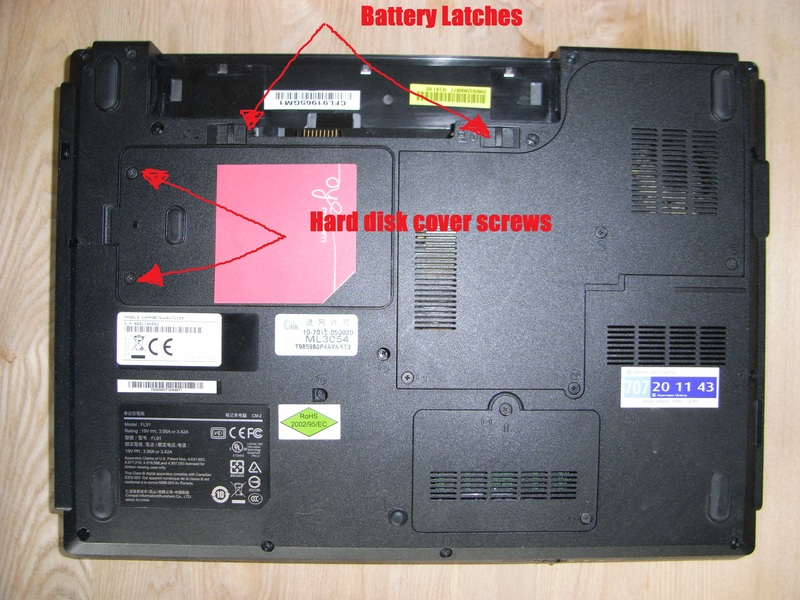 Please note hard disks and other computer parts are static-sensitive, meaning you should ensure you discarge any staic you have. You can do this by touching something metal, before you start this will remove any static build up. 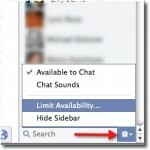 Now there may a time when you don’t wish to be seen or contacted but people on facebook chat – or sidebar. Firstly you need to access the lists you have on facebook. So go to your homepage and choose lists on the left and click on more. This will open up a new page. On this page you can create a new list, so go ahead and select create a list, and call in Chat blocked or whatever you wish. Next add the people you want to be on your new list. 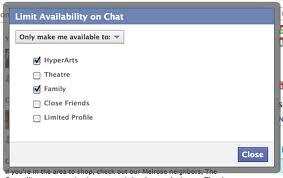 Next simply select the lists you want to be available to chat to, and the rest will be blocked! This doesn’t affect you receiving updates in your home feed. I have been away for 2 weeks, hence the lack in blog updates. But don’t fear I’m back now and will be blogging regularly as usual. Along with my old webcam which previously featured, I have a similarly old gaming device, the Belkin Nostromo N50. 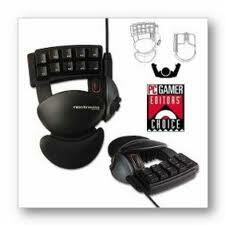 Gaming device, more comfortable to use. The Nostromo N50 is a HID (Human Interface Device) in the same way as gamepads. Unfortnately there wasn’t a Vista driver released for this, however, you can get it to work with a bit of tinkering. 2. Click start, in the search box type “regedit” then press enter. This will load the registry editor. 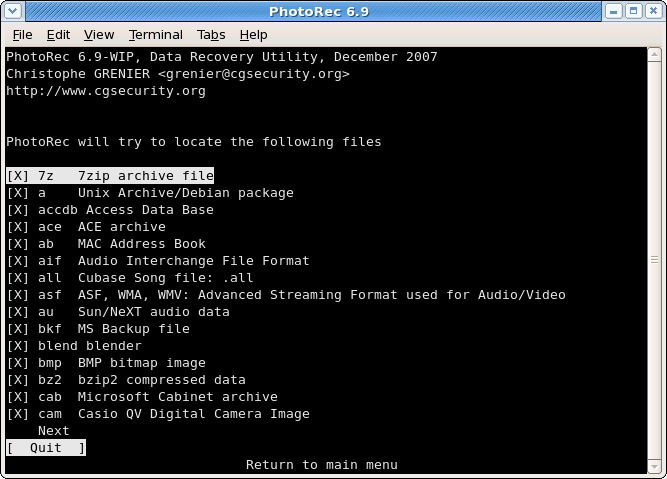 To backup the registry select file and export. Name the file as you wish and save it. Now you are safe to edit your registry, as you have made a back up copy. Once you get to the entry right click “OEMname” and select modify, then rename it exactly as “Nostromo n50 Speedpad”. If you don’t spell it correctly it will not work. It is possible it will be in a slightly different directory. 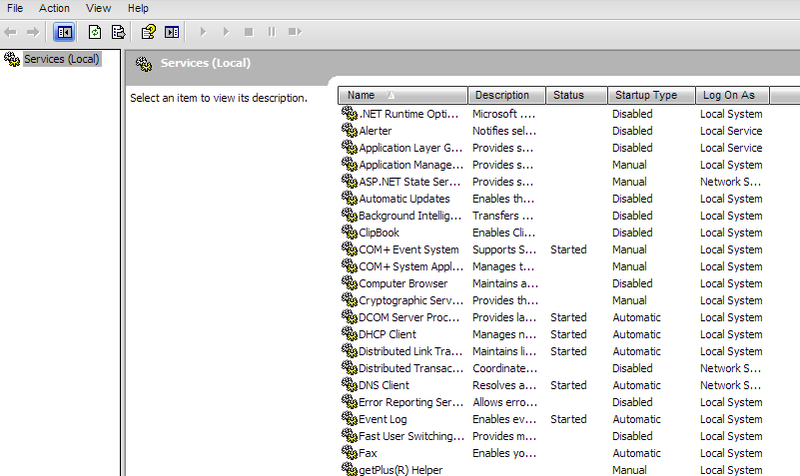 If you can’t immediately find it check each enrty in the OEM folder and you will find it. The VID and PID should be the same: “VID_050D&PID_0805”. 4. Close the registry editor and it should now work. You may need to restart. Quite a short one this week. For while it annoyed me that when you opened a new tab in Google chrome, you were not able to set it to a page, as you can with your homepage. This extension to chrome allows you to set the page on new tabs, great! So here is how to install it. Finally select options under New Tab Redirect! I hope this comes in useful for you! Hello again, so I got Virgin media installed at my new home back in mid march, it wasn’t a smooth install. But that wasn’t the cause of the internet dropping out intermittently. It could be a wiring issue. Now what do I mean by a wiring issue. Well when your telephone gets installed the line has already been connected at the exchange but not made live. Now depending on your provider a number of things could happen. 1. You already have a line connected to your house. 2. You don’t have a line and BT will run a cable and connect to the nearest telegraph pole. 3. You don’t have a line and Virgin will run a cable to your house. Any of the above connections could have faults, and if it is an external wiring fault, you will have to ring BT/Virgin/Other to run some tests on the line. 1. Check you have connected your ADSL filter. Normally a router will come with an ADSL filter. This essentially allows you to use a phone and internet simultaneously. 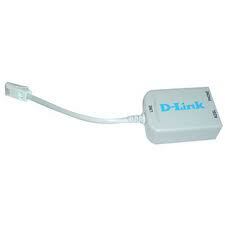 If you don’t use a filter and plug your modem/router in directly, when the phone rings your internet will cut off. This also happens on outgoing calls. 2. Extension cables. Telephone extension cables are usually used becasuse there isn’t a phone socket close to where you cant to use your phone. Unfortuately these cables can get pulled around and damaged, so if you have any of those remove them as they may be causing a fault. 3. More phones means more potential problems. 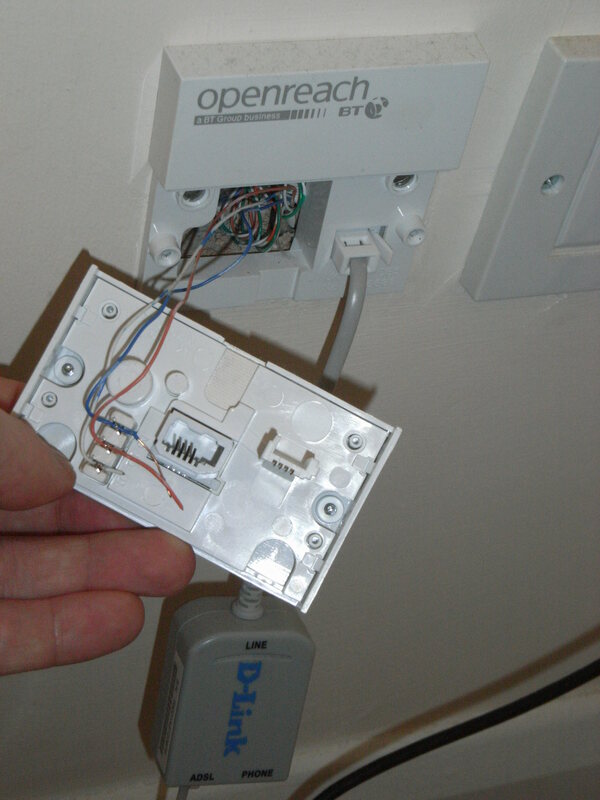 Having a lot of phones on a line can cause a few problems (such as phones not ringing) so you could try removing all phones from all the sockets, just leaving the modem/router connected to the main/master socket in the house. The master socket is located where the telephone line first comes into your house, usually in your front room or one of the downstairs rooms. 4. And lastly it could be an internal wiring fault in one of the sockets. This was the case for me. After checking the line with virgin they asked me to use the test socket in the master socket of the house, removing all other phones. The test socket is actually behind a plate on your telephone socket. If your main socket looks like this socket (with a horizontal bar across the front template). 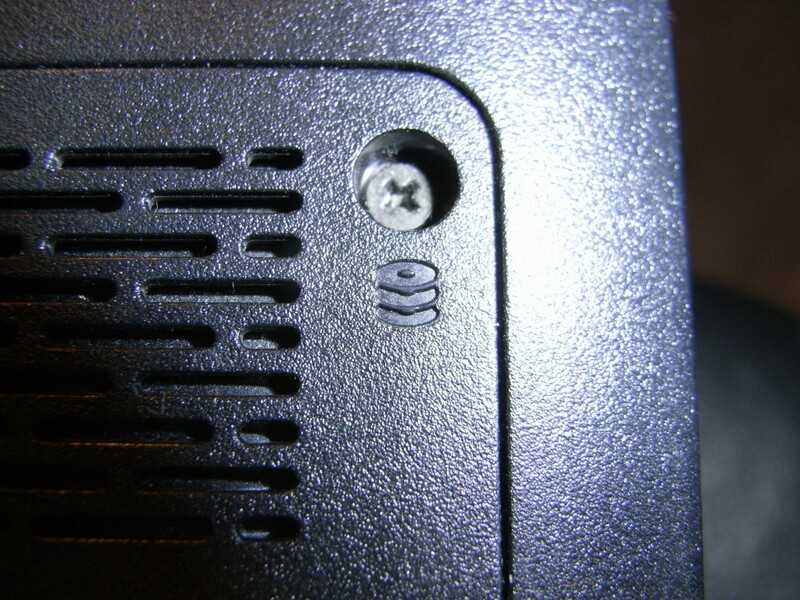 Carefully unscrew the 2 small screws and the bottom half of the faceplate should slide out. On the right hand side is a test socket. This connects you directly to the telephone line and bypasses any extension wiring you may have. Plug the corded telephone into the test socket as above. Check for the line ringing once and stopping or not ringing at all by making test calls. 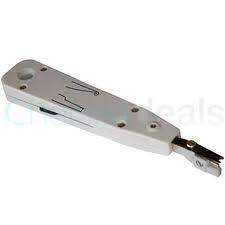 When I opened the main socket in my house this is what it looked like. You can see the test socket with the ADSL filter connected for testing purposes. This picture above is actually a picture I have taken more recently; Originally the white wire was hanging loose on the connector plate. I had to borrow a telephone kroner tool from a friend to push the wire back into the right place as it was causing the fault. Needless to say with the router connected directly to the test socket things worked fine and it was the socket installation that was faulty. The internet is much more stable now the wiring has been fixed!